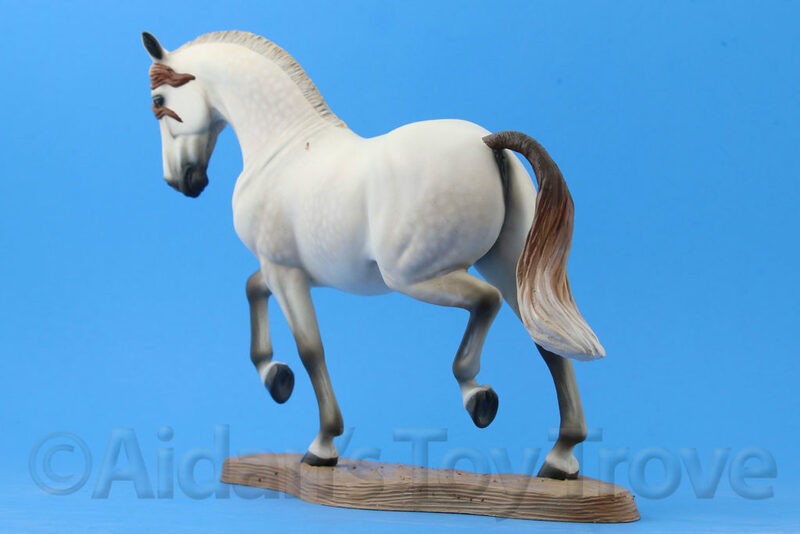 For sale is a Traditional Scale Breyer Custom PRE Andalusian by Tiffany Purdy. 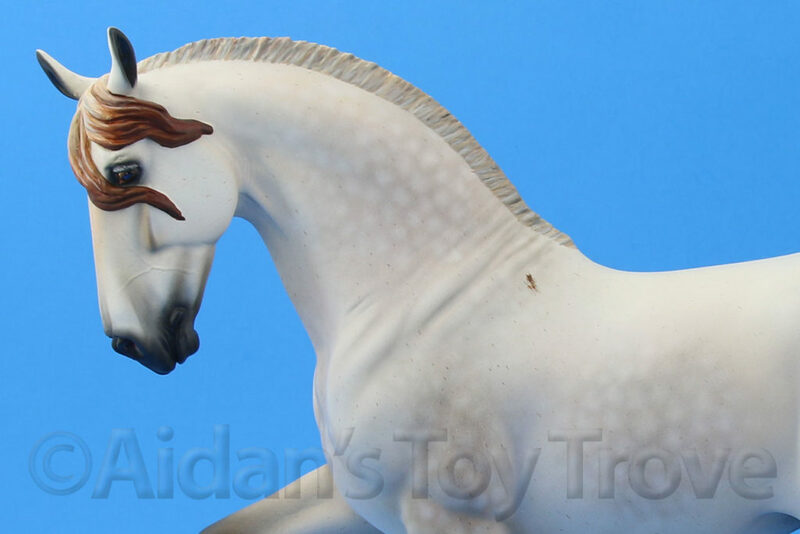 This horse started life as the popular Totilas mold and was customized with a whole new look by artist Tiffany Purdy back in 2014. 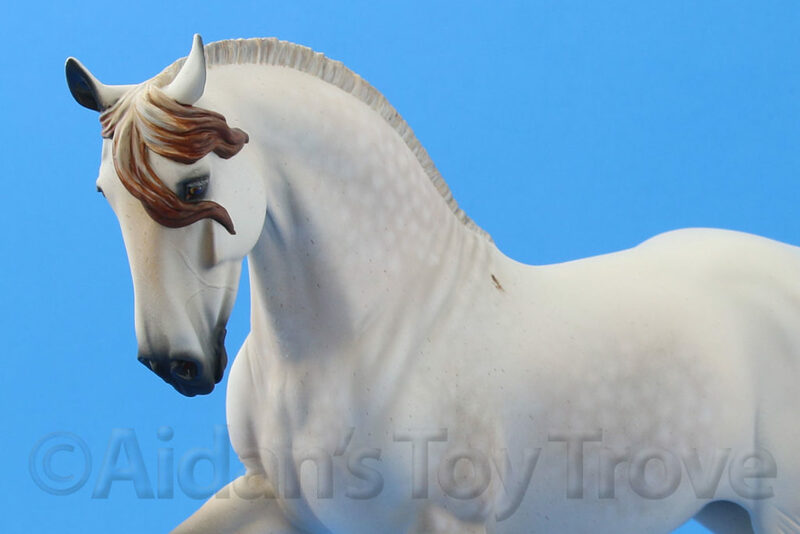 She now has a modified trot, a more roman profile on her face, a gracefully arched neck, a traditionally shaved mane and a banged tail with the top neatly shaved. She is painted as a lightly dappled grey with fleabites. 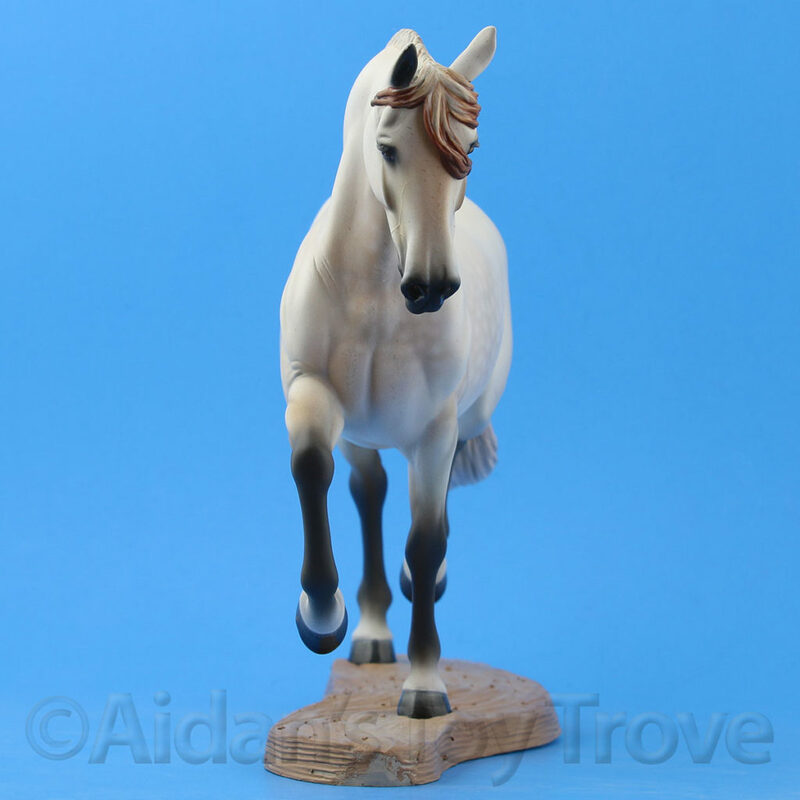 Tiffany made this mare a brand new magnetic base. 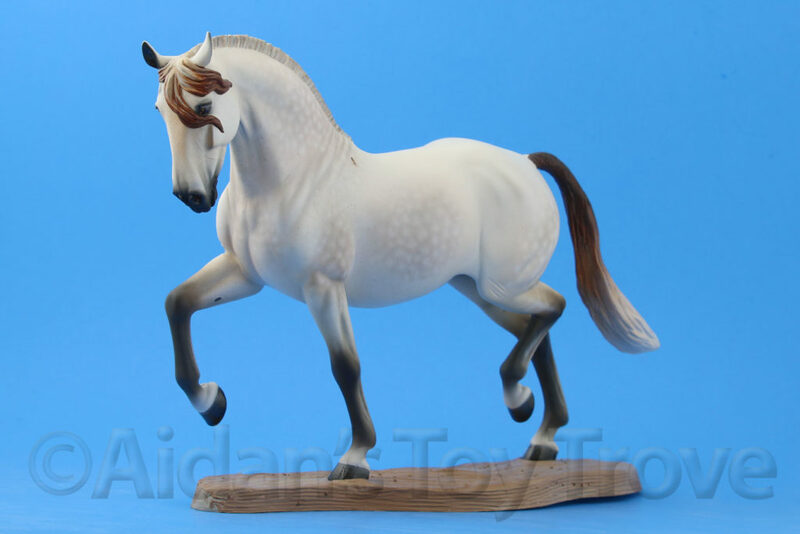 She magnets in both of her hooves that touch the ground. 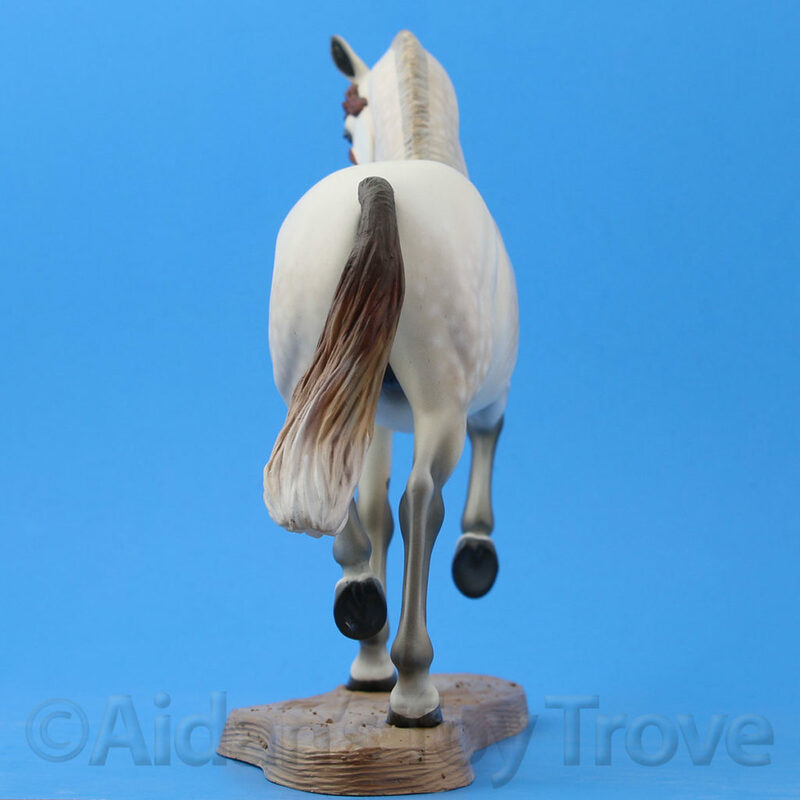 She stands very sturdily on her base. 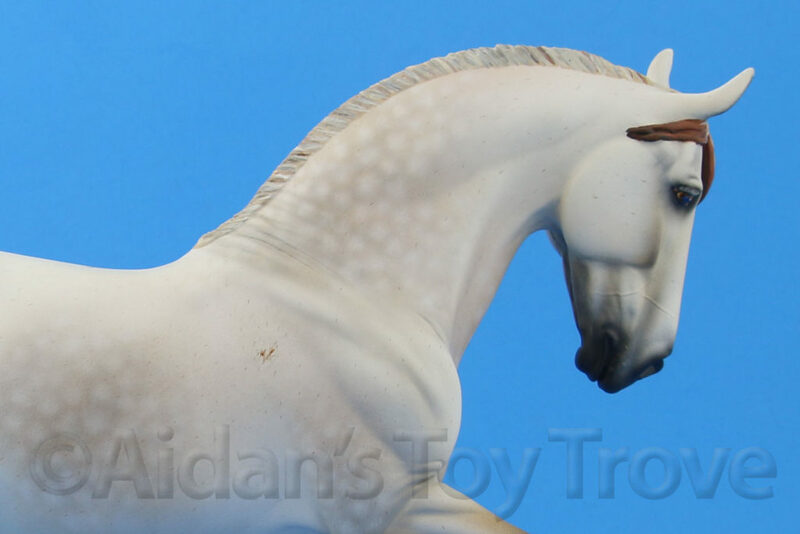 She also comes with a detailed leather collar with bell that is seen on PRE Andalusian Mares. 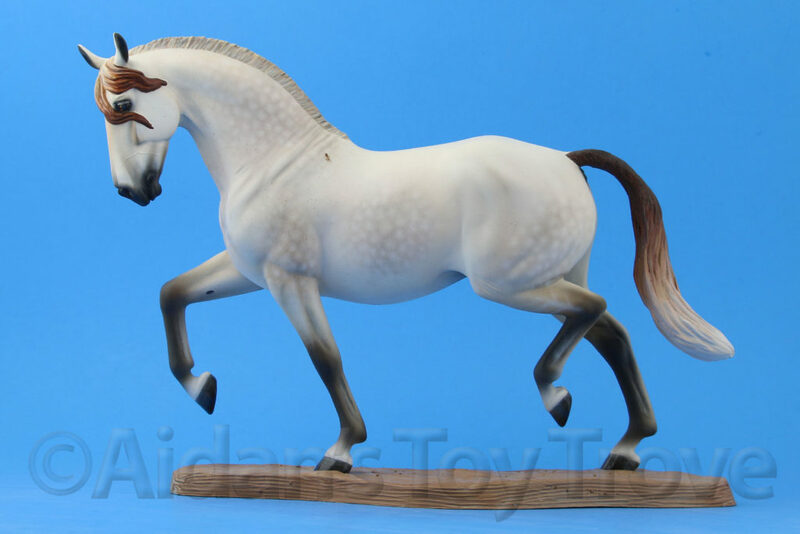 This piece is new to me but she was the NAN 2014 Grand Champion Custom Andalusian / Lusitano. 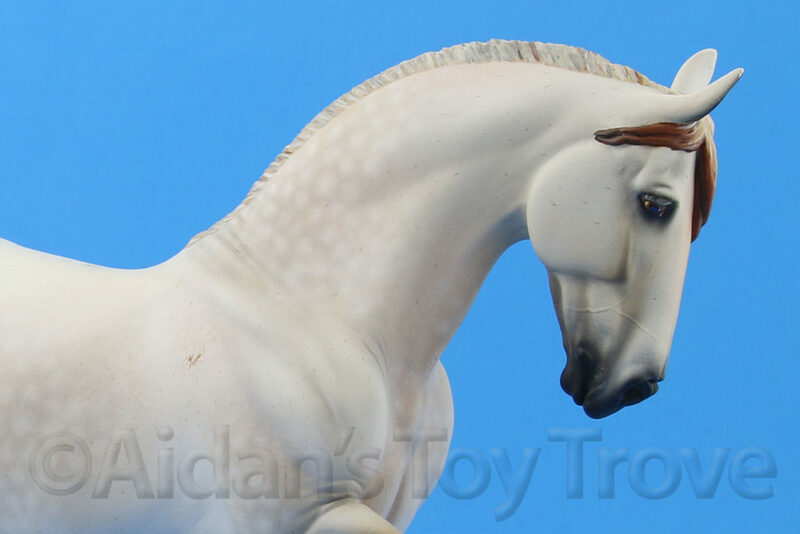 She has a small amount of paint wear on the edge of her right eartip. She has a tiny white line on the left side of her forelock. 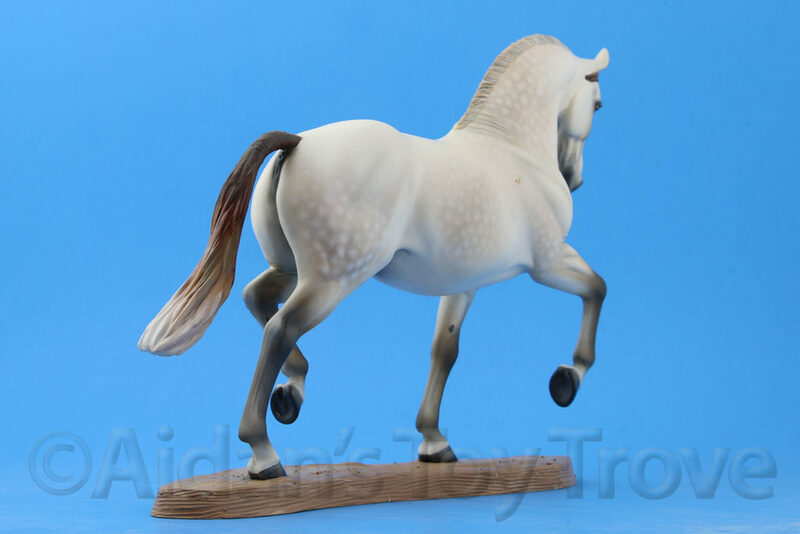 She has a white line on the back side of her left hind hoof. These would all be easy fixes. 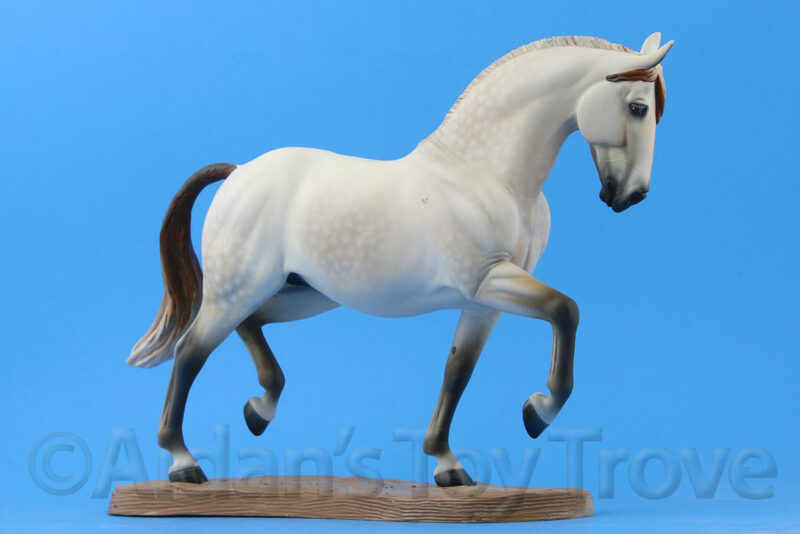 This is a top LSQ horse and will go on to win big for her lucky new owner. 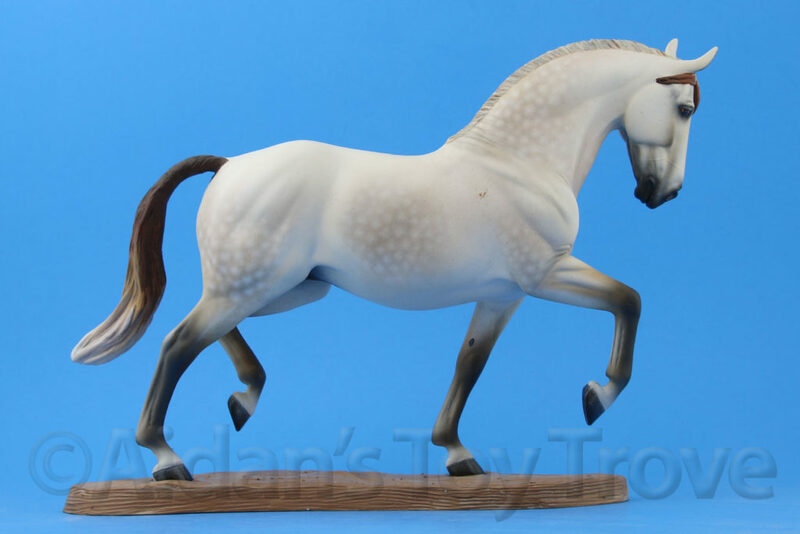 You will receive this exact Traditional Scale Breyer Custom PRE Andalusian by Tiffany Purdy.